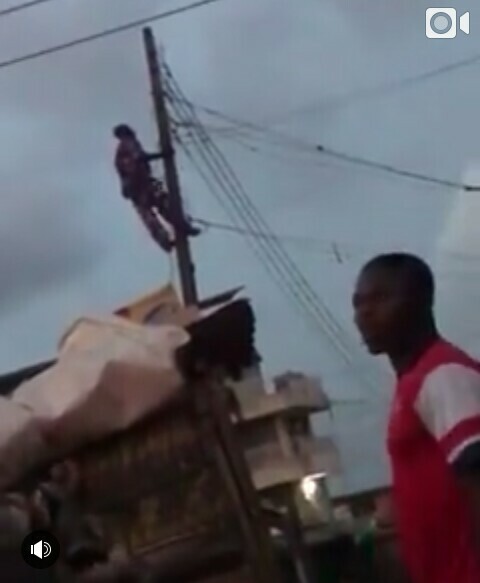 A supposed useless man was seen this evening, connecting an electric pole without a ladder and bare hands in Lagos. 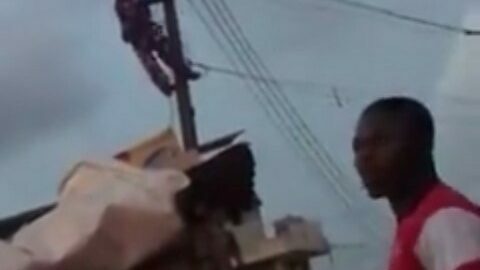 According to reports, the man nearly got shockd while carrying out the act, as a resident of the area, claimed there was current in the electric wire. Some of the resident were amused on what gave the man the guts to do such a thing.